The Cosmetic Plastic Surgery Center offers non-surgical options that are effective in both physical & mental well being. Take the next steps toward greater interaction, heightened self-esteem, and a better you. As you age, the elasticity of your skin decreases. This causes natural wrinkles, crow’s feet, worry and frown lines, facial folds, and other visible signs of aging. Non-surgical solutions include BOTOX®* and Dysport®** from the Cosmetic Plastic Surgery Center. These small, non-invasive injections erase visible signs of aging on your face. BOTOX® is a non-surgical treatment that temporarily improves the appearance of moderate to severe frown lines around the mouth and eyebrows. The non-invasive treatment also improves the appearance of crow’s feet. BOTOX® contains small amounts of a highly purified botulinum toxin protein. This protein is injected into the muscles that create wrinkles to temporarily reduce muscle activity. The skin begins to smooth within 24 to 48 hours, and results last for up to four months. If you want a firmer, youthful-looking face, consider BOTOX® at the Cosmetic Plastic Surgery Center. Dysport® is a non-surgical prescription injection that smooths frown lines between the eyebrows without affecting the rest of the face. It “fights the overdone look,” as untreated muscles function normally after injection. This injection leaves facial expressions unaffected after treatment. Dysport® involves a single injection into five points between and above the eyebrows. These injections temporarily shut down muscle function that causes frown lines without affecting the surrounding muscles in the cheeks and forehead. This non-invasive treatment provides natural-looking results in a safe and effective way. Dysport® offers no recovery time, fast results, and little to no side effects. 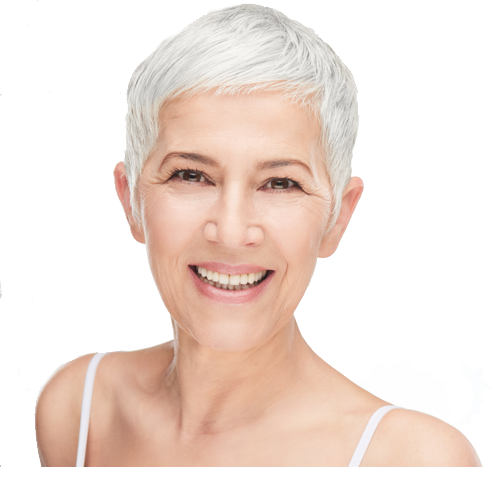 If you want a firmer, youthful-looking face, consider Dysport® at the Cosmetic Plastic Surgery Center. Volume-enhancing fillers can be a great, non-invasive option for those who are seeking to remove or reduce wrinkles, fine lines, skin folds, and other signs of aging. We have been effectively providing patients with youthful, healthy skin for years. JUVÉDERM®* is a collection of FDA-approved injectable dermal fillers that remove moderate to severe wrinkles, facial folds, and fine lines. The fillers hold water in at the injection site and act as a cushioning agent. The fillers smooth skin by adding temporary volume and creating a fuller, more even appearance. Most patients need only a single treatment to achieve their desired results, which last between nine months to one year. JUVÉDERM® Vollure is a longer-term filler that lasts around 18 months. Your injector will be able to evaluate your concerns and recommend a treatment plan for the appropriate filler(s) to help achieve your goals. If you want a fuller, youthful-looking face, consider JUVÉDERM® at the Cosmetic Plastic Surgery Center. Restylane®** is an FDA-approved volume-enhancing filler that’s made of natural, non-animal stabilized filler. It treats moderate to severe wrinkles, facial folds, and lip augmentation. After injection underneath the skin’s surface, Restylane® gradually degrades and disappears without any residue. Results are near immediate and last for up to six months. Your injector will be able to evaluate your concerns and recommend a treatment plan for the appropriate filler(s) to help achieve your goals. If you want a fuller, youthful-looking face, consider Restylane® at the Cosmetic Plastic Surgery Center. Microneedling (also known as collagen induction therapy) is an all-natural technique that rejuvenates and improves the appearance of your skin. It’s a great non-surgical treatment for those who want to repair or remove scars, cellulite, stretch marks, and skin blemishes nearly anywhere on the body. Microneedling also enhances the effectiveness of skincare products, fights aging skin, and shrinks pores without significant side effects or recovery time. Say goodbye to fine lines, wrinkles, and crow’s feet with tiny punctures applied to your skin. These punctures use your body’s natural healing system to stimulate the growth of collagen and elastin. Microneedling is the solution to repairing your skin with long-term results. Call the Cosmetic Plastic Surgery Center for a free consultation. Spider or thread veins are a natural cosmetic occurrence. These surface-level veins most commonly appear on the legs of older women due to family history, pregnancy, female hormones, steroid use, trauma, or prolonged sitting or standing. While most spider veins only hinder cosmetic appearance, rare side effects include pain, cramps, burning, throbbing, itching, leg fatigue, and chronic venous disease. To boost your confidence and decrease the chances of these long-term side effects, spider vein therapy (also known as sclerotherapy) is a great non-surgical treatment. Sclerotherapy involves a licensed medical professional injecting a chemical into the affected veins. This intentionally causes localized damage to the inner lining of the vein and leads to inflammation, blood clotting, collapse, and thickening or scarring of the vessel. The blood stops flowing, and the vein loses its reddish purple appearance. After treatment, spider veins are less visible and bothersome. Call the Cosmetic Plastic Surgery Center for a free consultation. Rejuvenating skin peels at the Cosmetic Plastic Surgery Center are a great, non-surgical way to achieve your personalized skincare goals. Rejuvenating skin peels help all skin types and achieve various goals depending on the recommended skincare product. Based on your exact skin type and goals, our trained professionals formulate a rejuvenating peel treatment to fit you. A product of VI Aesthetics, VI Peel® is a professional chemical peel that’s specifically designed to retexture and enhance your natural skin. These skin rejuvenation peels help skin that’s aging, sunspotted and pigmented, acne-prone, or scarred and damaged. Glytone Professional by Enerpeel® Eye and Lip improves mild to moderate “photo-aging” of the eyes and lips. It significantly increases skin firmness and improves the appearance of fine lines, deep wrinkles, crow’s feet, and dark spots and circles around the eyes and lips. PCA SKIN® offers advanced skin rejuvenating peels that exfoliate dead skin and help healthy skin cells rise to the surface, revealing deeper layers of fresh and untouched skin. These rejuvenating peels even out skin tone, clear acne, improve the appearance of aging skin, and brighten dull complexions. Rejuvenation peels from PCA SKIN® work for all skin types, from oily and acne-prone to dry and sensitive. Big makeup brands can’t customize skincare solutions. The Cosmetic Plastic Surgery Center can. Call today for a free consultation. Microdermabrasion is a non-surgical treatment that exfoliates and removes dead skin to reveal deeper layers of fresh, untouched skin. Microdermabrasion at the Cosmetic Plastic Surgery Center uses controlled scraping with a diamond applicator to buff the first layer of skin. Suction vacuums the loose, dead skin from the surface layer and reveals a brighter, untouched layer of skin underneath. After treatment, a cooling moisturizer and/or sunscreen is applied to decrease skin sensitivity. This non-surgical treatment reduces uneven pigmentation and fine lines, smoothes surface irregularities and blemishes, unclogs pores, and improves the appearance of age spots and sun damage. It’s perfect for those with rough, oily, and/or aging skin and patients who use retinoids for acne, wrinkles, psoriasis, and warts. Our advanced microdermabrasion technique refreshes the skin and reveals a brighter, better you. Call today for a free consultation. Do you have skin damage from stress, UV rays, and aging? From fine lines and wrinkles to discoloration, dullness, and uneven complexions, skin damage doesn’t help self-confidence. The HydraFacial* painlessly combats all this with botanical ingredients, including horse chestnut seed, red algae extract, and peptides. A qualified skincare technician at the Cosmetic Plastic Surgery Center uncovers a new layer of skin with gentle exfoliation and relaxing resurfacing. Debris is removed from your pores with painless suction, and your skin is nourished with intense moisturizers that quench skin. The HydraFacial then saturates your skin’s surface with antioxidants and peptides to maximize the glow. If you have a special skincare need, the HydraFacial offers super serums to address discoloration, fine lines and wrinkles, signs of aging, and sunspots and uneven complexions. This all-natural, non-surgical skincare treatment is great for men and women with all skin types. The HydraFacial leaves your skin better than it’s ever been. Call the Cosmetic Plastic Surgery Center today. The Cosmetic Plastic Surgery Center offers multiple effective solutions to reduce the appearance of acne, facial and body hair, skin damage, uneven skin texture, fine lines, and wrinkles. Venus Versa™** is a versatile multi-treatment platform that uses Intense Pulsed Light and SmartPulse™ technology to enhance and tighten your skin. This precise light travels through several layers of skin and generates heat when absorbed by the tissue without damaging it. During treatment, a cooling system is used to protect your skin and to avoid discomfort. This virtually pain-free procedure requires multiple treatment sessions that last up to 20 minutes. Venus Versa™ is prescribed to patients who want brighter, clearer, and younger-looking skin. Consult the Cosmetic Plastic Surgery Center to discuss the best skin treatment option for you. Thermage®* is a one-time non-surgical treatment that uses radio frequencies to tighten wrinkles. For 45 to 90 minutes, a specially designed treatment tip emits a radio frequency energy that penetrates the skin tissue and heats the affected area. It remodels the collagen, and the final cryogen cools the skin. The treatment adds a gentle vibration sensation and interspersed cooling bursts with a cooling effect on your skin to promote comfort and safety of the surface layers. After Thermage®, your skin might be slightly red, but you’ll typically see and feel results in as little as one day. As your skin regenerates collagen, continued improvement and contouring can occur for up to six months after treatment. The results can last for years! This treatment is personalized to fit your skin and has no recovery time or follow-up care. Thermage® is a great option for those who want sleeker, smoother, and younger-looking skin. Call the Cosmetic Plastic Surgery Center for a free consultation. Age, sun damage, and genetics negatively affect your skin, which can lower your self-confidence. To help you feel great again, Venus Concept effectively rejuvenates your skin to make it look younger and healthier. Venus Versa™* is an FDA-approved treatment from Venus Concept, a global leader in medical aesthetics. This multi-treatment platform uses a vascular laser to treat dilated blood vessels without damaging the surrounding area. Its patented Intense Pulsed Light and cooling technology reduce sun damage, vascularity, and visible signs of aging. This non-surgical treatment doesn’t require anesthesia, is virtually painless, and minimizes discomfort with streams of cold air. In as little as three treatments, Venus Versa™ treats uneven pigmentation (freckles, rosacea, sunspots, birthmarks, bruises, and visible blood vessels) and textural irregularities (deep wrinkles, enlarged pores, acne scars, warts, red moles, and stretch marks). Tighter, healthier, and younger-looking skin is a few treatments away. Call the Cosmetic Plastic Surgery Center for a free consultation. Tattoos are a great expression of art. Unfortunately, over time, the sentiments behind these visual expressions can change drastically. Whether it’s for professional necessity or personal preference, tattoo removal is a viable non-surgical solution. This non-surgical treatment* uses a pro intense laser pulses that pass through the top layers of skin that absorbed the tattoo pigment to remove the color. After the non-invasive treatment, an antibiotic ointment is applied to reduce the risk of skin infection. Depending on the size, coloration, and location of the tattoo, treatment times and amount of laser pulses vary. Recovery times are typically minimal. For clean and smooth results using tattoo removal, the Cosmetic Plastic Surgery Center can help. Call today for a free consultation.